Hormone Therapy: Pfizer needs to get ready to try its hormone therapy cases all over the country, now that cases have been sent from Arkansas to their home states (with more awaiting transfer). Some think the upcoming cost will be an incentive for settlement. (HT: Bloomberg). Virtual Versus Traditional Colonoscopy: What Are The Risks? News reports in the past couple of days have hit on part two of the CT radiation overexposure inquiry. Before, the issue was whether certain CT devices, whether because of manufacturing, design, or technician error, provided too much radiation to patients. A secondary question was whether patients were receiving too much radiation through scans over the course of their lives (the FDA reports that the average person’s radiation exposure has doubled in the last thirty years). Now, the question is focused on whether CT scans are a good idea for screening purposes where a patient has no indication that they have any disease—the three that have been most mentioned are whole-body CTs (to see if there is anything wrong); CT colonoscopy (to detect colon cancer), and CT scans of the heart (to detect heart disease). Most of the debate has been centered around the colonoscopy procedure. On one side are those who believe that traditional methods—a colonoscopy, are best to detect colon cancer. Proponents (including the American College of Gastroenterology, who come out on the side of their financial interests in the question) state that CT colonoscopies are not as certain as the traditional visual colonoscopy; that removal of polyps would require a second procedure with a CT colonoscopy (versus being done at the same time in the traditional procedure), and that incidental findings on a CT scan may lead to unnecessary procedures. 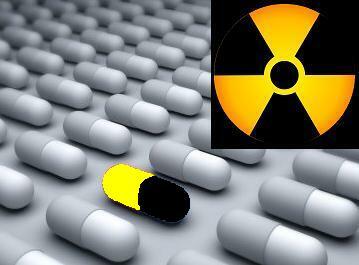 Additionally, repeating these scans increases patient exposure to radiation. Vioxx: The Pop Tort reports on how “lawsuits played a key role unearthing documents showing what lengths Merck went to cover up mounting evidence that patients taking Vioxx were experiencing a high number of heart attacks and strokes.” Now, Vioxx manufacturer Merck settles some shareholder lawsuits, and includes some proactive measures to protect against these abuses in the future. Medical Radiation: Much continues to be written about radiation as it relates to diagnostic procedures, especially in the wake of the FDA’s newest guidelines. The Mass Tort Defense Blog opines that plaintiffs’ lawyers seeking medical monitoring for their patients may do more harm than good on the basis that it will increase radiation exposure. There is some logic to this, but shouldn’t patients be the ones to choose? Posted in: CT Scan Radiation Exposure, FDA/Voluntary Recalls and Merck & Co.